Be the first to hear about their new releases and deals. Download the Booksprout app and search for Sharon Kleve today! Sharon Kleve was born and raised in Washington and currently lives on the Olympic Peninsula with her husband and two cats. When not writing, and working full-time, she can usually be found either curled up in her recliner with her cats and a good book or in the kitchen making cheese or baking sourdough bread or bagels. 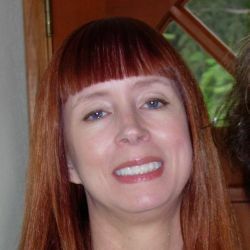 Sharon is a multi-published author of contemporary romance with over twenty stories published in eBook, paperback, on audio and translated into six different foreign languages. She has written New Adult and Romantic Suspense, but what brings her the most joy is writing Romantic Comedies. She loves giving her characters the happily ever after they deserve—with a few laughs and maybe a few bumps and bruises along the way.